Chocolate Flavour Sandwich Biscuits with a Vanilla Flavour Filling (45 %). Oreo Double Stuff. 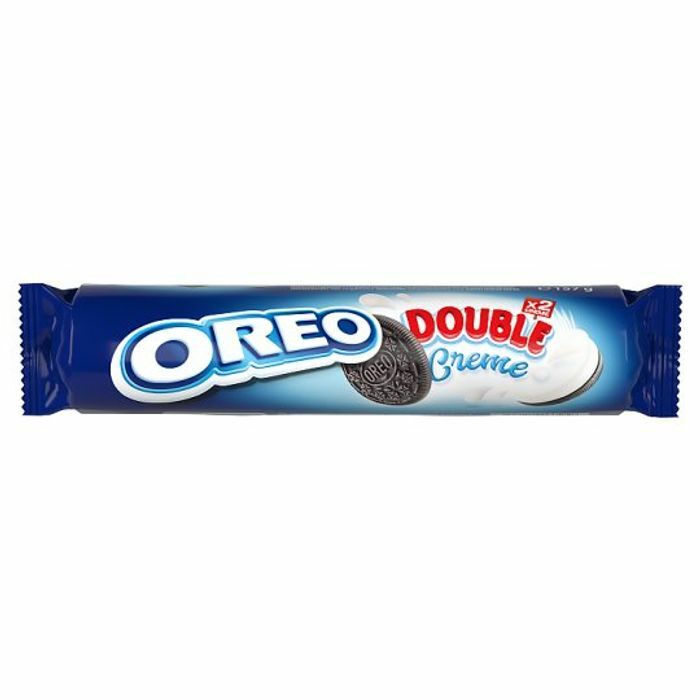 Double the crème, double the fun!